We frequently ship horse feed here at Old Glory Freight. 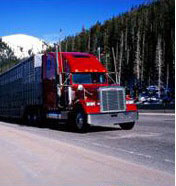 If you have horse feed that you need to ship, you have come to the right place. � Always try to avoid residential pickup and/or delivery when shipping horse feed. Not only will this greatly reduce the cost of shipping, it will also make the shipping process much easier.